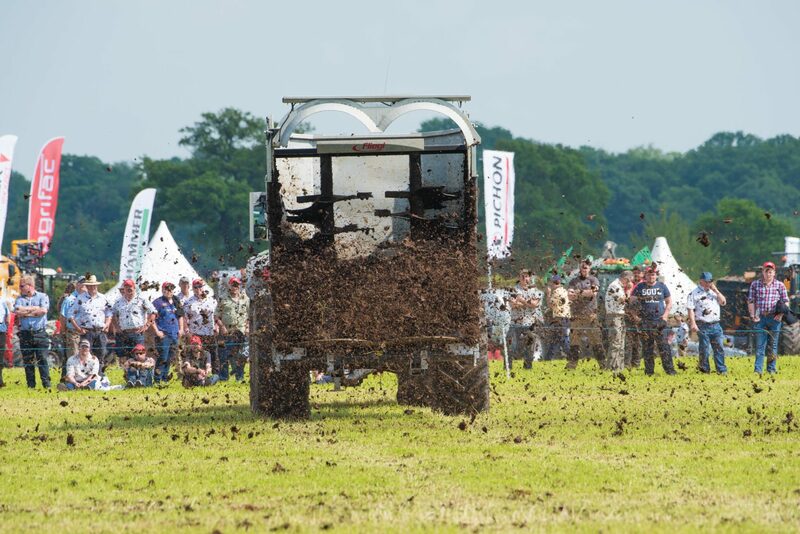 Improving grass yields and quality requires attention to detail at every step of the process, and visitors to the Grassland & Muck Event were treated to the full range of equipment and advice. AHDB launched the new farmer-friendly RB209 nutrient guide at the event, which promises to make it much easier for farmers to boost yields with straightforward nutritional advice. The new version is split into seven sections including grass and forage crops, arable crops, principles of nutrient management, and organic materials. Book values have been updated to reflect latest farm practices, with a new emphasis on soil and manure sampling. Digestate is included for the first time, while the grass section includes concise nitrogen information to meet target yields for grazing and ensiling. In the muck area, John Deere gave the first public demonstration of its new Manure Sensing system, which analyses the nutrient content of slurry while it’s being applied. “It’s revolutionary technology,” said Ross Skinner, product sales specialist. The infrared sensor takes 4000 measurements a second, and adjusts flow speed accordingly to deliver targeted application rates. When linked to a John Deere tractor the system automatically adjusts the speed of travel to maximise efficiencies. The same sensor can also be used on forage harvesters to analyse fresh forage, or be moved into the barn over the winter to analyse silage straight from the clamp face. The MyJohnDeere app enables farmers to overlap yield mapping from the forage harvester with the manure sensor to deliver highly accurate nutrient supplies. Taking little steps forward across the full range of grassland management could add up to significant gains, according to Yara’s Jon Telfer. Speaking in the forum theatre, he explained how focusing on marginal improvements to soil condition, pH, nutrients, slurry management and animal health could add considerably to the bottom line. Having produced the best quality grass possible, it was important to ensile it correctly to preserve those nutrients and digestibility, said Francis Auchinloss from Bock UK. “A lot of clamps aren’t fit for purpose – they are too wide and sometimes overfilled.” Ideally clamps should be narrow so the silage face moves back at a rate of 2m a week, to avoid aerobic spoilage.